Tens of thousands of people across Southern Sudan went to the polls Sunday in a historic referendum that an international election observer said appeared to have been well-handled. "There were very, very large numbers from the early hours of this morning all day long," said David Carroll, director of the Democracy Program at the Carter Center, in a telephone interview from Juba. "They were waiting patiently, they were in a happy, celebratory mood. They went through the process in an orderly way, largely. We saw a very meaningful, important process that the southern Sudanese are engaging in with a lot of passion." 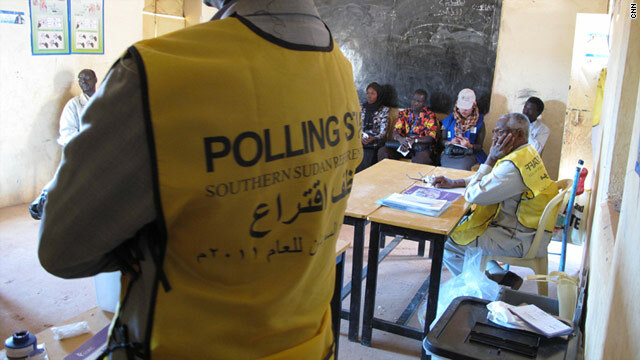 By the time polls opened at 8 a.m., many Sudanese had already been standing on line for hours to cast their ballots on whether the south should declare independence or remain part of a unified Sudan. Those who were still on line at 5 p.m. were allowed to remain there until they were able to vote, he said. "It's something that is clearly very, very important to the people of Southern Sudan." 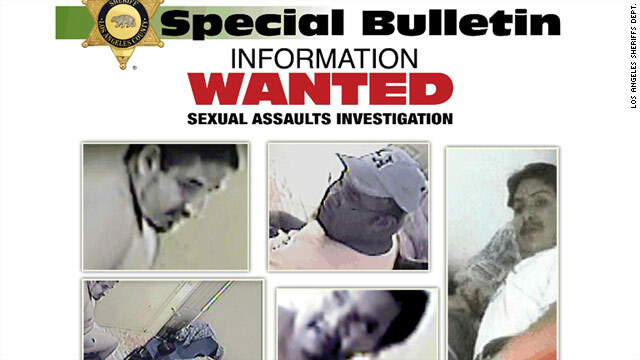 Police began searching for four suspects after receiving a video from an anonymous tipster. Police arrested a suspect believed to be one of four men shown in a video apparently sexually assaulting disabled women in a care home and other places, authorities said in a statement. Ernie Lloyd, 27, was arrested at West Hollywood Sheriff's Station on Saturday evening, said a statement from the Los Angeles County Sheriff's Department. On Saturday morning, Lloyd went to a Los Angeles police station, "saying that he had seen himself on the news and that he knew he was wanted," the statement said. During an interview with detectives, Lloyd "implicated himself," authorities said. 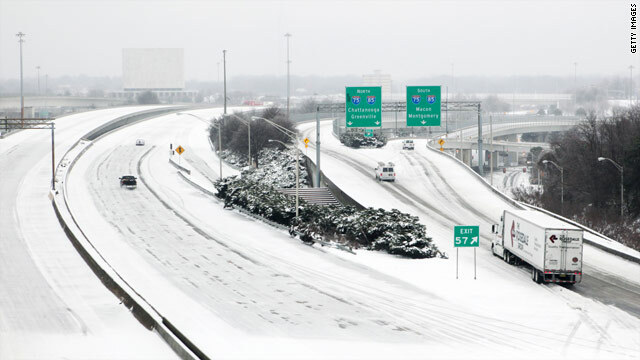 A major winter storm system was rolling across the southeastern United States Sunday, sending out shocks of snow, freezing rain and sleet, and forcing some airlines to cancel flights. AirTran Airways canceled 14 flights Sunday, most of them heading into Atlanta, in order to have fewer aircraft on the ground there at the time the storm hits, spokesman Christopher White said. Another 270 flights were canceled for Monday, which represents a majority of the Atlanta-bound flights for the airline. There will be a handful of arrivals and departures only, White said. 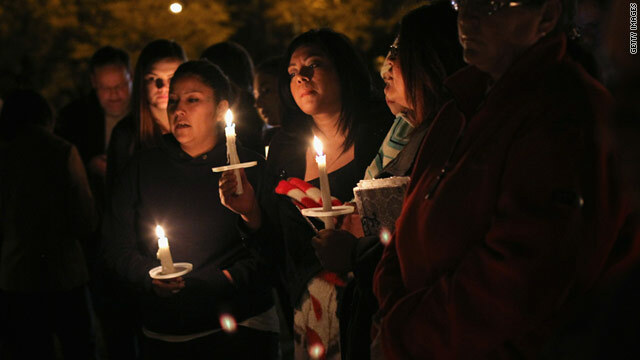 People attend a candlelight vigil in Tucson, Arizona, for victims of Saturday's shooting rampage outside a grocery store. For more information, visit CNN affiliates KGUN, KOLD, KVOA, KPHO and KMSB. 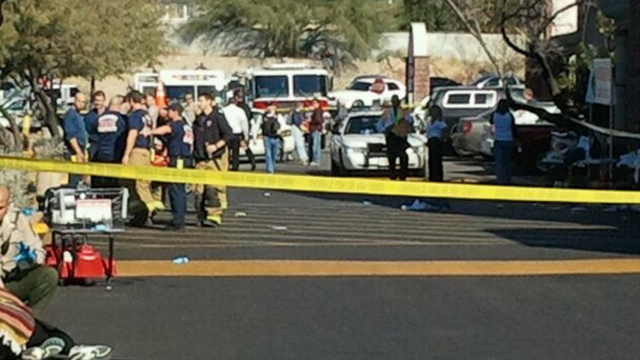 Six people were killed and 14 others wounded, including U.S. Rep. Gabrielle Giffords, when a gunman opened fire in front of a Safeway supermarket in Tucson, Arizona, authorities said. The congresswoman had been hosting a meeting with constituents Saturday morning when the attack began. [Updated 9:45 p.m.] Suspect Jared Lee Loughner tried to buy ammunition at a Wal-Mart a few weeks back but was turned down because of his behavior, a law enforcement source said. He then successfully bought it at a different Wal-Mart, according to the source. [Updated 9:16 p.m.] A woman credited with wrestling an ammunition magazine from the suspect says she didn't have time to think about what she was doing. "(The suspect) pulled the magazine out of his pants pocket and it dropped onto the sidewalk. And before he could reach it, I got it," Patricia Maisch said. [Updated 7:49 p.m.] Suspect Jared Lee Loughner was rejected by the Army for military service after failing a drug test in 2008, according to an administration official. [Updated 7:43 p.m.] The U.S. Supreme Court says it will observe the moment of silence that President Barack Obama called for at 11 a.m. ET Monday. To accommodate this, the court will convene 10 minutes early, at 9:50 a.m. ET, so that the day's first argument before the court will be completed by 11 a.m.
[Updated 7:36 p.m.] House Democrats and Republicans participated in a rare bipartisan conference call Sunday to discuss the condition of Rep. Gabrielle Giffords as well as security concerns for members of Congress. [Updated 6:33 p.m.] According to a federal agent's affidavit, U.S. District Judge John Roll, who was killed in the shooting, came to the Tucson from Phoenix to discuss the volume of federal cases in Arizona with Giffords. [Updated 6:28 p.m.] The FBI has confirmed that investigators have found, questioned and cleared a man they had sought as a "person of interest" after the killings. The man was cab driver who dropped suspect Jared Lee Loughner off at the Safeway where Giffords' "Congress on Your Corner" event was being held, a law enforcement official previously said. [Updated 6:24 p.m.] Veteran federal public defender Judy Clarke, who has experience in several high-profile cases including those of "Unabomber" Ted Kaczynski and convicted terrorist Zacarias Moussaoui, was appointed to defend suspect Jared Lee Loughner, a federal judicial source said. [Updated 6:01 p.m.] Calls to 911 following Saturday's shooting - released Sunday by the Pima County Sheriff's Office - paint a patchy picture of the scene. [Updated 4:56 p.m.] Investigators found papers bearing the words "my assassination" and "Giffords" in a safe in the home of shooting suspect Jared Lee Loughner, according to a complaint filed against him in federal court. [Updated 3:56 p.m.] U.S. Rep. Gabrielle Giffords is the only person wounded in Saturday's shooting who is still in critical condition, doctors at University Medical Center in Tucson said. Three are in serious condition, six are in fair condition, and one has been released, they said. - Officers of the Arizona Anti-Defamation League issued a statement condemning the attack: "During her years in the statehouse, Rep. Giffords served on the ADL Arizona Regional Board. 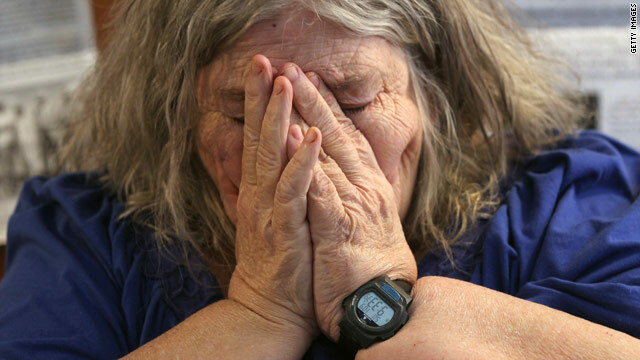 Her affiliation with ADL, which monitors and exposes hate and extremist groups, contributed to her awareness of the nexus between hate ideology and violence. It is a testament to her dedication to her constituents that despite past threats against her, Rep. Giffords has always been so accessible to the people she represents. Our thoughts and prayers are with Congresswoman Giffords and the other victims and their families." [Updated 3:33 p.m.] Investigators have identified and ruled out the "person of interest" they were seeking in connection with the shooting, a law enforcement official said Sunday. [Updated 3:30 p.m.] Federal authorities have charged Jared Lee Loughner, the 22-year-old suspect in Saturday's Arizona massacre, with first-degree murder, attempted murder and attempting to kill a member of Congress, according to court documents. Read the charges here. [Updated at 3:25 p.m.] President Barack Obama called for a moment of silence to be held at 11 a.m. ET Monday and ordered flags to be flown at half-staff. "I call on Americans to observe a moment of silence to honor the innocent victims of the senseless tragedy in Tucson, Arizona, including those still fighting for their lives," the president said in a news release. "It will be a time for us to come together as a nation in prayer or reflection, keeping the victims and their families closely at heart." [Updated at 2:21 p.m. ET] Law enforcement investigators were speaking with a second person in the Arizona Safeway shootings case, a law enforcement official told CNN. It is not clear whether this individual is the same person police had sought via the release of a surveillance image from overnight. It is also unknown at this time what connection this individual may have to the investigation. [Updated at 1:38 p.m. ET] A dark-haired man seen in a picture distributed by authorities apparently "may not have been involved at all, but we still need to verify that," Pima County Sheriff Clarence Dupnik said Sunday. [Updated at 1:18 p.m. ET] Precautions are in place to ensure the security of public officials after the shooting of an Arizona congresswoman, although authorities are aware of no specific threat against them, FBI Director Robert Mueller told reporters Sunday. [Updated at 1:12 p.m. ET] The suspect in the Saturday shootings of 20 people at a Tucson, Arizona, grocery store is in federal custody, FBI Director Robert Mueller told reporters. Formal charges are expected against Jared Lee Loughner Sunday afternoon, he said. [Updated at 12:13 p.m. ET] U.S. Rep. Gabrielle Giffords of Arizona is "able to communicate" with people, and the gunshot wound she sustained Saturday did not cross from one hemisphere of the brain to the other, doctors at Tucson's University Medical Center said Sunday. [Updated at 12:00 p.m. ET] President Obama spoke by phone late Saturday to Mark Kelly, the husband of Rep. Gabrielle Giffords, who was critically injured in a mass shooting, a senior White House official said. The official told CNN that Obama "expressed his deep concern and full support" for the family in the wake of the tragedy. [Updated at 8:49 a.m. ET] House Speaker John Boehner has asked that flags on the House side of the Capitol be flown at half-staff in the wake of the shooting in Arizona, marking the death of Gabe Zimmerman, who was Rep. Gabrielle Giffords' director of community outreach. "An attack on one who serves is an attack on all who serve," Boehner said Sunday. "Such acts of violence have no place in our society. These tragic events remind us that all of us, in our roles in service to our fellow citizens, comes with a risk. This inhuman act should not and will not deter us from our calling to represent our constituents and to fulfill our oaths of office. No act, no matter how heinous, must be allowed to stop us from our duty," Boehner said. - Authorities executed search warrants late Saturday night on a car and a residence where suspect Jared Lee Loughner lived with his parents, a law enforcement source said. - The law enforcement source said that Loughner's parents appeared to be cooperating with authorities, but the source did not know to what extent. - Loughner, however, was still not cooperating. He had earlier invoked his right against self-incrimination. - The sheriff's office said early Sunday that the correct name of one of the victims who died in the shooting is Dorothy Morris. - The Pima County Sheriff's Department is expected to hold another news conference at 11 a.m. Sunday (1 p.m. ET). - The University Medical Center in Tucson will offer a patient condition update at 10 a.m. Sunday (12 p.m. ET). - As of 3:45 a.m. Sunday, Giffords remained in critical condition, said Darci Slaten, spokeswoman for the medical center. Of the nine other shooting victims taken to that hospital, four others were in critical condition and five were in serious condition. - Early Sunday morning, the sheriff's office released a surveillance camera photo of a male between 40 and 50 years old who is "possibly associated with the suspect." The dark-haired man was last seen wearing blue jeans and a dark blue jacket, and was seen at the location where the shooting occurred. - At 2 p.m. Sunday, a caucus conference call has been scheduled for House Democrats and their spouses to get an update on the shooting, two congressional sources said. - At 8:30 a.m., Speaker of the House John Boehner will address the media in West Chester, Ohio, about the shooting. A suspect has been charged with federal crimes following Saturday's shooting in Arizona that killed six people, including U.S. District Judge John Roll, and wounded 14, including U.S. Rep. Gabrielle Giffords. But developments and ramifications - legal, medical and political - will unfold throughout the week. Jared Lee Loughner, 22, has been charged with attempting to kill a member of Congress, first-degree murder and attempted murder. But those counts involve only victims who worked for the federal government, and state prosecutors could bring charges in the remaining cases. Loughner is scheduled to make an initial appearance before a federal magistrate in Phoenix on Monday. Giffords, who was shot in the head at a political event outside a grocery store in Tucson, has been able to communicate with physicians by following simple commands, a doctor said Sunday. One physician said he didn't want to speculate on her recovery process, but said it is not uncommon for people with such injuries to be in an intensive care unit for at least a week and hospitalized for two to three weeks before beginning a rehabilitative phase that could last weeks to months. All legislation on the U.S. House schedule for the coming week has been postponed, meaning the House will not vote this week on the repeal of health care reform as previously anticipated. However, the House is expected to issue tributes and consider at least one resolution honoring the shooting victims this week. 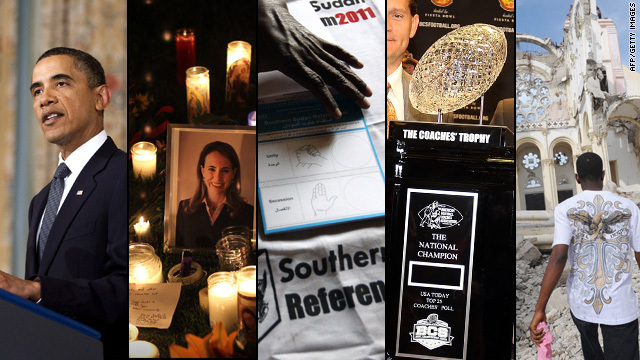 President Barack Obama has called for a national moment of silence at 11 a.m. Monday to honor the victims. Obama is expected to meet with French President Nicolas Sarkozy at the White House on Monday to discuss foreign policy and security. Sarkozy, whose country is assuming the presidency of the G-8 and G-20 economic groups this year, also is interested in having the global economy be less reliant on the U.S. dollar. Meanwhile, France is sending its defense minister to Niger this week after two French hostages were executed in that West African country. The French Defense Ministry has said the people behind the kidnapping probably were part of al Qaeda in the Islamic Maghreb. That group hasn't claimed responsibility, but the group's leader has warned France that if it does not withdraw its troops from Afghanistan, more French nationals would be endangered. A passenger plane carrying 105 people crashed in a snowy and mountainous region of northwestern Iran on Sunday, news agencies in the country reported. Several people suffered severe injuries but at least 50 people have been rescued, the news agencies said. 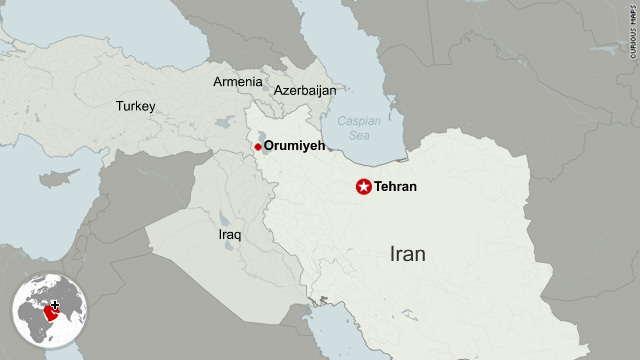 At least 10 people with severe wounds were hospitalized, an emergency services official, Mojtaba Khalebi, said, according to the semi-official Iranian Labor News Agency. Twenty people were shot outside a grocery store in Tucson, Arizona, on Saturday, six of them fatally. 'Real, real hero' - Joe Zamudio rushed outside the Tucson, Arizona, grocery store when he heard the gunshots that took down 20 people, killing six of them. Here, he tells CNN's Carol Costello about two people who helped subdue the gunman. One was an elderly woman. The other was a man who had been shot. Filed under: Arizona • Crime • Gabrielle Giffords • Gotta Watch • Judge • U.S.
store upward to 20, including six people who died. A gunman intended to assassinate a U.S. representative when he opened fire outside an Arizona supermarket Saturday, killing six and wounding 12 including the congresswoman, the local sheriff said hours after the shooting. 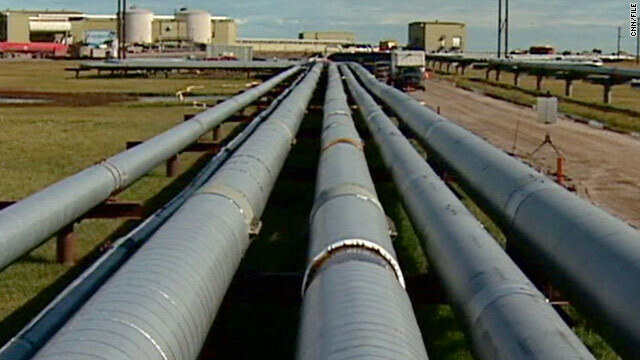 Filed under: Arizona • Gabrielle Giffords • U.S.
Only a fraction of the oil that normally courses through the Trans Alaska pipeline was flowing early Sunday after operators discovered a leak near Prudhoe Bay, a company spokeswoman said.